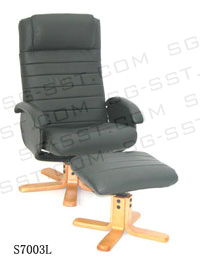 Upholstered in cow top leather with Recline & swivel 360 degree. It is Ergonomically designed with Fire Retardant foam, Bentwood frame and Matching ottoman. 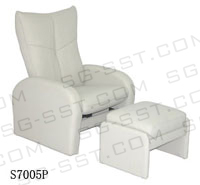 S7005P Recliner W/Ottoman is Upholstered in PU with a Recliner. 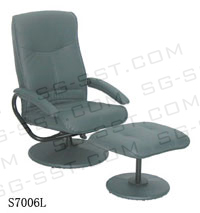 It is Ergonomically designed with a Fire Retardant foam and Matching ottoman. 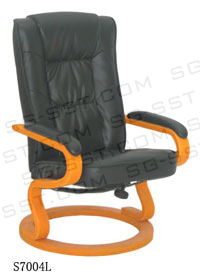 with Fire Retardant foam, Steel frame and Matching .